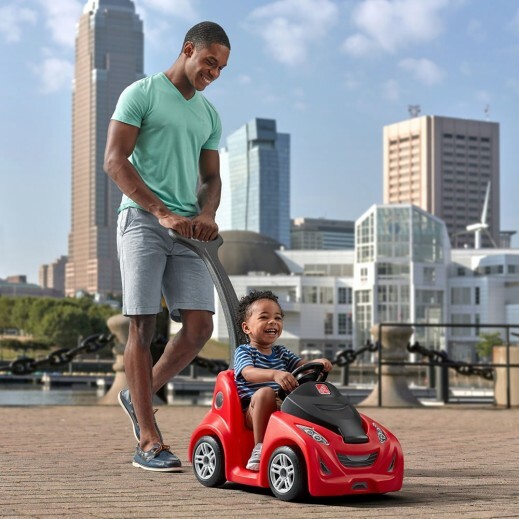 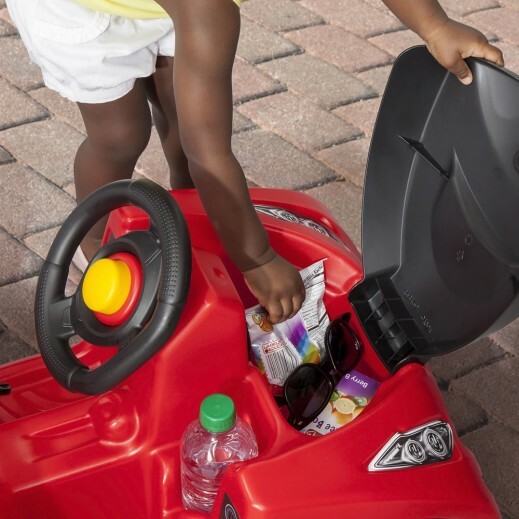 - Comfortable kid’s ride-on features a large under-the-hood storage for long rides to the park! 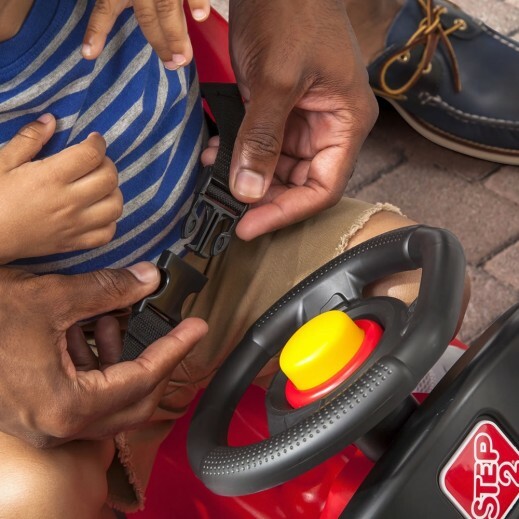 - Kiddos will be extra secure with the easy-latch safety belt. 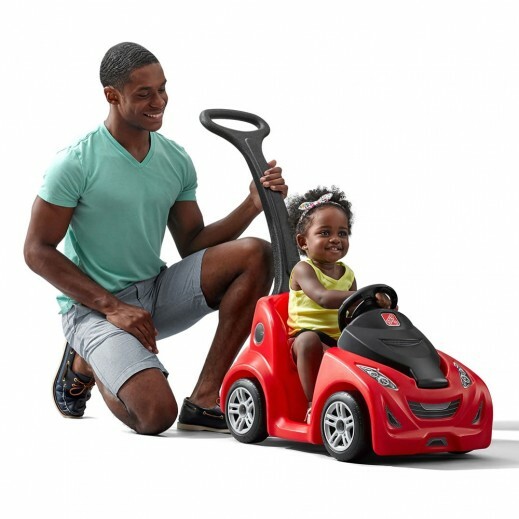 - Buggy features a realistic steering wheel with honking horn!